It offers the opportunity to acquire Maltese and (consequently) European Union citizenship. There are plenty of benefits in getting a Maltese citizenship. Malta is neutral, safe and enjoys a very stable economic and political climate. Furthermore, you can travel to over 160 countries worldwide, VISA-free as well as work, study, live in any of the 28 countries in the European Union and invest in Malta. Non-EU citizens who apply for the Individual Investor Programme (IIP) in Malta receive full European citizenship, and not just a simple EU residency visa. This is also a great opportunity to get a second passport and a residence permit in the European Union. By offering an economic passport and EU citizenship via investment, the IIP is the most reliable integration programs for overseas investors who want to establish a business presence in Malta. The Global Residence Program Malta is the second most efficient method of gaining Maltese citizenship after the economic passport obtained through the IIP. This programme allows individual investors to gain residency on the islands for tax reasons when they lease or own a permanent address there. This programme also suits retired individuals who want to obtain a Maltese passport and live on the islands while collecting a pension from their home country. A competent legal-consulting company should ensure that you, as an applicant of the programme, comply with all the general requirements and qualifications set out by the law. You should also be guided through the process of buying or leasing a Maltese property as well as through residence verification, investment process and other fees such as due diligence and contribution. This company should also handle any relevant applications whilst updating you accordingly. How to Verify if a Company or Person Is IIP Accredited? A law, audit, financial advisory or intermediary firm, as well as any other person or body having been officially authorized to assist foreign nationals to acquire Maltese citizenship, will show their Identity Malta Accredited Agent number. This number can be independently verified on the website of the Government of Malta. The Maltese Passport Office issues (since 2008) biometric passports according to international and EU standards. In order to acquire citizenship as well as a European passport via the Individual Investor Program (IIP) Malta, a candidate needs to give the country their biometric information (such as fingerprints). To do this, one must visit (in person) one of the country's international embassies or traveling to Malta and visiting the address: Maltese Passport Office, Evans Building, Merchant Street, Valletta. Any main applicant wishing to qualify for the Malta Citizenship by Investment, under the regulations, must be 18 years or over. Under certain conditions, the main applicant may also add dependents to benefit from the Malta citizenship program or IIP which may include his or her spouse, parents, grandparents and children. The Malta citizenship requirements state that you need to invest in a property on the island with a minimum value of €350,000 and this property must be retained for 5 years. You can also lease a property on the Maltese islands having a minimum annual rent of €16,000, which must also be retained for 5 years. More information available below. A minimum of €150,000 must be invested in shares, debentures, bonds and other investment vehicles as may be identified from time to time and approved by the Maltese government. These are to be kept for a minimum of 5 years. A competent consulting firm should be able to help you acquire bonds and shares that are approved by the Government. The Malta citizenship scheme requires a contribution cost of €650,000 for the main applicant, €25,000 for the spouse, €25,000 for each and every child under the age of 18 years, €50,000 for unmarried children between 18 and 26 years old and €50,000 for each and every parent above 55 years of age. These contributions need to be made after approval of citizenship. 70% of these contributions will go into a Fund which has been set up by the Maltese Government and the remainder goes into the consolidated fund. Furthermore, every passport costs €500 and there is also a bank charge of €200 per application. Upon application submission for the Malta residency program, the applicant pays €10,000. This is a non-refundable fee. Main applicants are required to show proof that they have been residents of Malta for at least 12 months before issuing of the naturalization certificate. Applicants who were already residents for one year on the Maltese archipelago prior to the Malta IIP approval satisfy this requirement already. Candidates also need to commit to a minimum physical presence in the country before their Maltese citizenship can be granted. 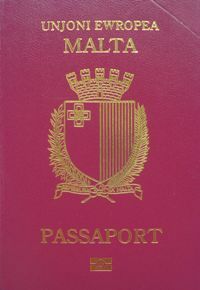 The applicant and any of his dependents may not be a potential threat to public health or suffer from a contagious illness that requires treatment which could impose a burden on the national health system in the Maltese islands to be eligible for the Malta passport by investment program. All applicants must be in deserving and of good repute to be allowed to proceed with the Malta citizenship by investment programme grant. The applicants will undergo a four-tier due diligence process of the highest standard to determine that they have a clean criminal record by checking with a variety of authorities including INTERPOL and the International Criminal Court. Applicants for Malta residency by investment need also provide a police certificate from where the applicant has resided for more than 6 months during the past 10 years. Dependents over the age of 12 years are also subject to background verification. The applicant and any of his dependents may not be a potential threat to public policy or security to be eligible. They should also never have had pending charges relating to money laundering, terrorism or funding of terrorism, war crimes or any crimes that threaten fundamental freedoms and human rights. The Maltese archipelago contains some of the tiniest inhabitable islands in the Mediterranean Sea. Having limited housing space, it may seem that estate prices are high and constantly rising. However, this could very well be the biggest advantage to purchasing property in Malta. 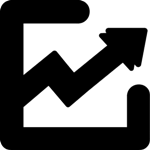 The local economy enjoys consistent annual growth of around 3%, and investing in a Maltese asset should provide you with considerable profit after the five-year commitment ends. Overseas investors who look to purchase property in Malta benefit from a stable banking system and a legal framework that accommodates immigrants. Foreigners who want to own Maltese estates and meet the Malta IIP's residency conditions may gain a substantial return on their investment when they sell the estate after five years of continuous ownership. The main drawback of such a business venture would be the high investment requirements of taking part in the program. Additionally, you may find it challenging to apply and obtain an advantageous mortgage deal in Malta. Therefore, you might have to purchase the property via a loan from your country of residence or by paying for it with cash. Since purchasing property in Malta may be difficult, renting one should be the next best alternative since it requires a significantly smaller investment. As part of the residency program, Maltese citizens have to lease an estate with a minimum monthly rent of €1,333, which for a total period of 5 years it would sum up to only €80,000. Renting property in Malta is highly beneficial for people who are looking for short-term investments. Bureaucracy is not that cumbersome as it is in other European states. The amount of legal paperwork is not as difficult to compile as it is for buying a Maltese estate, and you have a larger offer of attractive properties that you can rent without even visiting them first. The main difference between purchasing property on the islands and leasing rental apartments in Malta is that the former is an investment while the latter is a sunk cost. Renting a Maltese estate will enable you to apply for and obtain an EU passport, but you will not recover your investment. Nevertheless, when you compare the rental costs with the ownership requirements, leasing is still a pretty good deal. Candidates for a Maltese passport that want to obtain citizenship by investment need to provide a registered functional address in the country to enter the Individual Investor Programme, which requires that you obtain a sale agreement or a rental contract of at least one year. Investors must also make proof of personal funds that cover the rent for one year, which is €16,000 or the buying cost of a property that may reach at least €350,000. Our suggestion is to choose a property in accordance with your family’s needs and living requirements. How long does it take the applicant to obtain a certificate and what is the Malta Citizenship cost distribution? IIP Application for Residence: if the applicant of the Malta passport program is not a Maltese resident already, it is advised that they start the residency process so that the 1-year residency requirement is started. A deposit of just €5,000 will be needed at this stage on account of the contribution of €650,000. Having covered the main applicant with this fee, there will be an additional €1,000 fee payable for each and every dependent. A formal application is submitted to Identity Malta with the required supporting documents, by an Accredited person. At this point, passport and due diligence fees are required together with a € 10,000 deposit on account of the €650,000 contribution. This is fewer payments made during the process of the residency application. Evidence of source of funds is also required. Within 90 days (Day 90), Identity Malta verifies the application as being formally correct as well as information and background, the source of funds. Bank charges, passport, fees, and due diligence fees are confirmed as having been paid and the appropriate risk weighting is carried out. Within another 30 days (Day 120) Identity Malta further reviews the application and carries out the background checks. The concessionaire and the Approved Agent (the body regulating the IIP, Identity Malta, can authorize a person, known as the Approved Agent to act as an intermediary firm) are notified whether the application has been approved, delayed or refused. 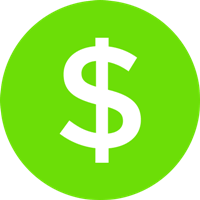 5 days from approval (Day 125), Formal Request for Contribution: The applicant pays out the remaining balance of his contribution amount. Within 20 days (Day 145) the contribution payment deadline is reached. (Day 240) Final Compliance: Evidence of purchase of property (or rental) and €150,000 investment must be provided. The Minister then issues a certificate of naturalization after a time-span that ranges from 6 months to 24 months. Once the Malta citizenship is granted, if the ongoing requirements are honored, the citizenship is deemed permanent. However, it can still be deprived should the acquisition be proven to have been fraudulent, disloyalty towards government arises or in the case of concealment of facts. Identity Malta regards every application on a case by case basis. In some specific situations and due to special circumstances, it may be decided that the applicant is nonetheless worthy of consideration for approval even despite the presence of the grounds listed below. Identity Malta provides a reasoned opinion on why an applicant is still considered for approval. The case should then be referred to the Minister who has the sole authority of approval. Engagement of citizen in unlawful trade or communication with an enemy or association with any business that motivated by a willingness to help an enemy in that war. Such citizen has shown disloyalty by act or speech and has shown him/herself to be disaffected towards the Government or the President. A passport can be requested via a separate form. All citizens having resided on Maltese land for 6 months or more during the 18-month period before the election have a right to vote. While other jurisdictions might impose their restrictions, Malta recognizes double citizenship. After the 5 years have lapsed, should the property not have been the owner’s sole residence, the 12% property tax rate is charged. If the property was his sole residence, then it will be tax-exempt upon sale. There will be no estate duty, net worth/wealth taxes, rates or real estate taxes, inheritance/death taxes or municipal taxes. Your immigration lawyer or firm can provide you or refer you to consultants with more information about tax, local investment, Malta permanent residence, and related subjects. 4. If I Make the Major Financial Contribution Am I Guaranteed a Malta Passport? 5. Can I Invest in Malta Citizenship with a Company or Trust? If you are holding a considerable amount of USD (United States Dollar)-denominated assets, this would be a great time to consider the Malta citizenship by investment program. While the Euro currency (€) was significantly stronger than the American Dollar when the Malta individual investor programme was first announced in 2014 and the €650,000 contribution came close to USD $900,000, in 2018, the American dollar has strengthened in comparison to the Euro and so the payment of EUR 650,000 became closer to $800,000. In consequence, the Malta Nationality by investment program is now more cost-friendly for investors holding big portions of their wealth in USD-denominated assets. The Malta Investor Visa (or Golden Visa Program) is now becoming more and more sought after.